We've been compiling some amazing Porsche models on eBay for nearly three years now, and we've seen some pretty astonishing cars pop up now and again. This week we're focusing on some rare versions of Porsche's iconic 911. Hopefully you've enjoyed our curated look at the Porsche market. Keep in mind, some of these Porsches could be great collection investments, while others might prove to do more financial harm than good. One of only 25 original cars built, this 964 Cup is an incredible rarity. It was built by Andial for a racing series that never happened, so it's an interesting piece of Porsche history. Allegedly these cars were re-built back to street trim, and some of them were re-converted back to race spec. The seller has no way to confirm that happened, but it makes for an interesting story. In any case, this racer has only 1241 miles on the clock, so you've got plenty of hours at your favorite track to get kickstarted. This is an interesting car that looks about as wild as a Porsche can. With Gotti wheels, a roof spoiler, a slant nose, and a huge whale tail, this car will grab attention everywhere it goes. It's a shame that it doesn't have the go to match its show, as it remains a 1975 2.7-liter underneath. If you're in a state that allows such things, maybe throw a supercharger on the thing and go burn rubber somewhere. This is an excellent start to a really cool period-correct build, but it definitely needs more power. It wasn't long ago these were changing hands for nearly a million dollars. 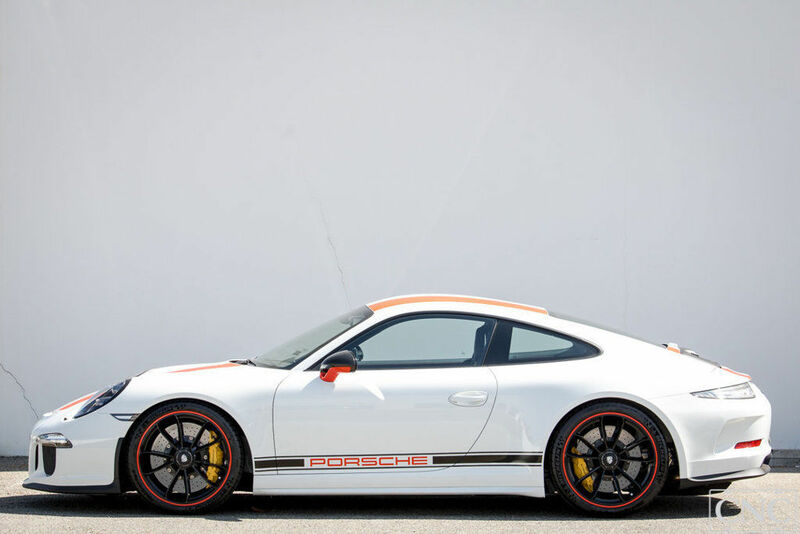 They were limited release Porsches, which always causes a fervor, and they were enthusiast oriented. A custom order color package like this one would have gone for a mint. In a more sober post-GT3 Touring world, the prices of 911 Rs have receded a bit, but are still well in excess of the original MSRP. That this car has just 178 miles on the odometer is sad. Someone buy this and take it to a race track for a few thousand miles, please. You don't often see real-deal Carrera RS on eBay, and for good reason. There aren't many folks who will plop down 1.3 million dollars on a photograph and a short description. This is a rare bird, however, and it may warrant a special trip to Ft. Lauderdale to go check it out if you're really interested. This is a blue chip collector Porsche and should maintain its value for quite a while if it's all numbers matching as described. Only 200 examples were built for the whole world to enjoy, so get it before it's gone. This car looks so good in this picture that I almost mistook it for a video game screenshot. With a nice set of discontinued Fikse wheels, gorgeous not-quite-Riviera-blue paint, a factory option Limited Slip diff, and the rare but not quite desirable targa roof, this 993 is a combination of a number of difficult to find options. There are only 41,000 miles on the clock, but the whole car was repainted at one point, so it probably won't ever be a properly collectible car. That means you should drive it until the wheels fall off!